Kelsie has been such an amazing client. She’s one of those that just becomes a friend right from the start! I have loved watching her little one grow and will love watching this handsome one too! Shawn is such a great dad! They brought some antlers and an outfit or two with them. I love what they were able to capture! Thanks you guys and CONGRATS! SO happy he’s doing well! Studio Sessions are some of our FAVORITE! In our Studio, we control the lights, props, backdrops and even the temperature to an extent but we also offer in home newborn sessions! We have a full list of props and backdrops that we can travel with or you can come to us and have access to them all! There is an additional travel charge for in home sessions. In Home Sessions are also limited on Qty of props/backdrops we bring. Book your studio session to take full advantage of the props and supplies we have! Or go for the lifestyle look and we’ll come to you! Either way, we would LOVE to capture your newborn baby’s first professional photos. Interested in session info? Contact us today! 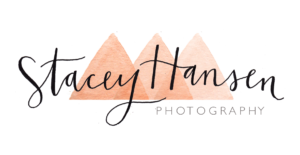 www.staceyhansenphotography.com/blog or check out our Newborn Gallery!